Beetroot and Vanilla Cup Cakes With Rose Butter Icing. Make the crystallized rose petals the day before you want to serve the cupcakes. They will keep in an airtight box for a few weeks. Lay out a piece of silicon-coated baking paper on a tray. Pick through the petals and choose the 12 loveliest looking ones and lay them on the tray. Brush gently with egg white and sprinkle all over with caster sugar. Allow to dry in a warm place for 8 hours before using. When you are ready to make the cupcakes, preheat the oven to 180˚C/Gas Mark 4. Blend together the sugar and butter until light and creamy. Add the egg yolks, flour, pureed beetroot and vanilla and beat until smooth. In a clean bowl whisk the egg whites until fairly stiff. Take a large spoon of egg white and beat into the cupcake mixture to loosen it a little. Then, using a large metal spoon fold the remaining egg whites gently through the mix, taking care not to over beat. Spoon the mixture into 12 cupcake cases and bake in the oven for around 20 minutes, or until the cakes are firm to the touch. To make the icing, beat the icing sugar and butter together, either in a food mixer or by hand with a wooden spoon. 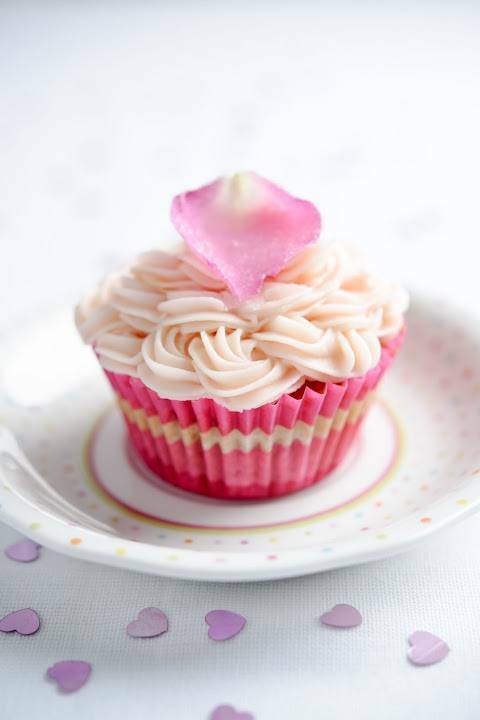 Add a few drops of rose flower water to taste, and a few drops of beetroot juice to colour the icing. "Fun In The Snow : Wordless Wednesday Linky…"
"Working Out With The Davina Range At next Week 4……." Looks lovely! I love beetroot & have tried a couple of recipe with it. I must say that it taste amazingly good! I'm sure that your beetroot & vanilla cupcakes too. 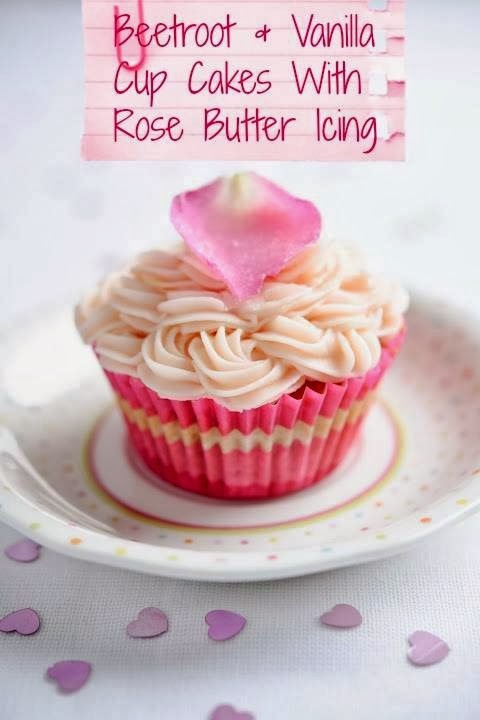 Nice touch using rose water for the frosting! Yummy ,i always wondered how you make crystallized roses,now i know i must try these .